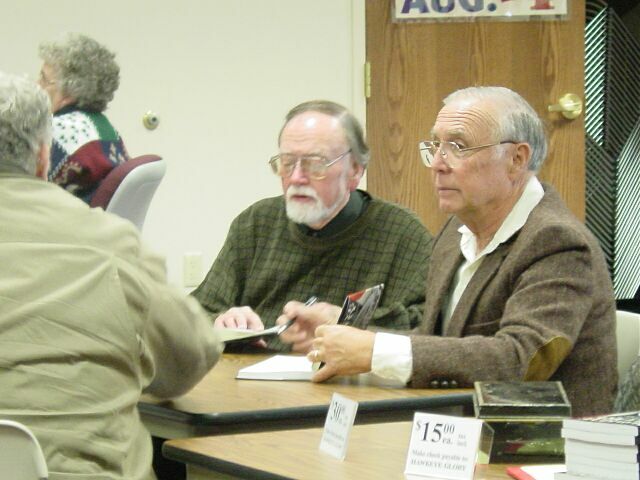 On November 2, 2002, the public was invited to attend a book signing by Thomas Hatton who recently published his second book concerning Fort Dodge's famous Karl L. King. The new Hawkeye Glory , published by Golden Dragon Press, tells the story of the Karl L. King Municipal Band from its earliest days to the present time. 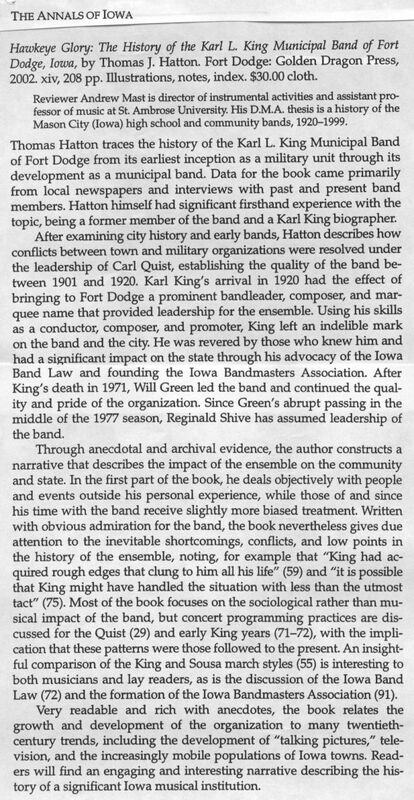 Author and former King Band member Hatton had been known as the author of the biography, Karl L. King, published by The Instrumentalist. 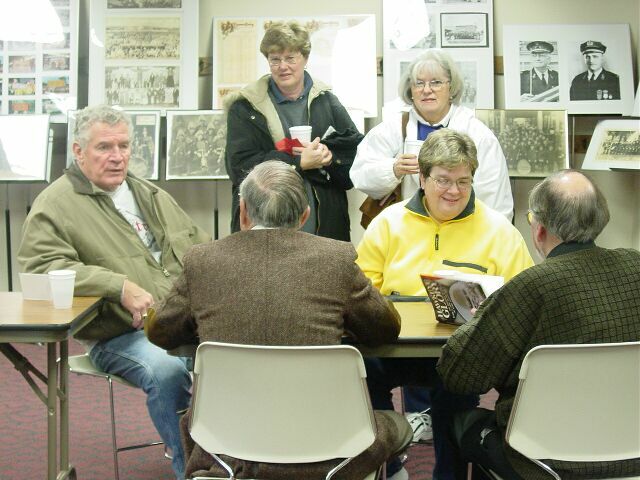 Nancy and Duane Olson hosted this informal reception in the Fort Dodge Public Library for Mr. and Mrs. Hatton, who came from their Kansas home for the occasion. 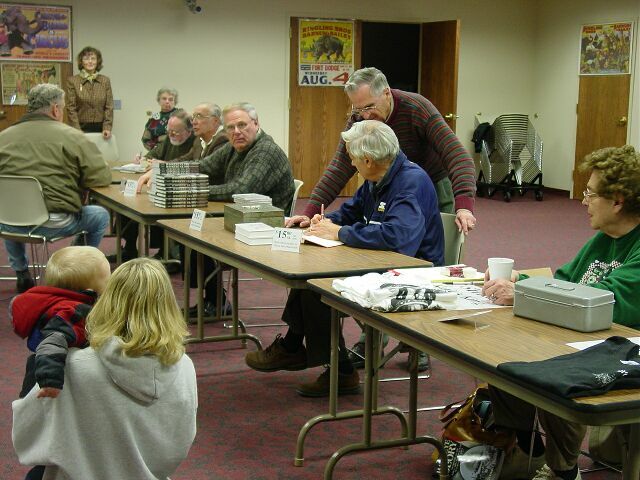 Besides the new book, other Karl King merchandise was on hand for the public to purchase. Benefitting the restoration of the Karl King Bandshell in Oleson Park, the 100th Anniversary Concert video and the new CD by the Karl King Municipal Band were offered. 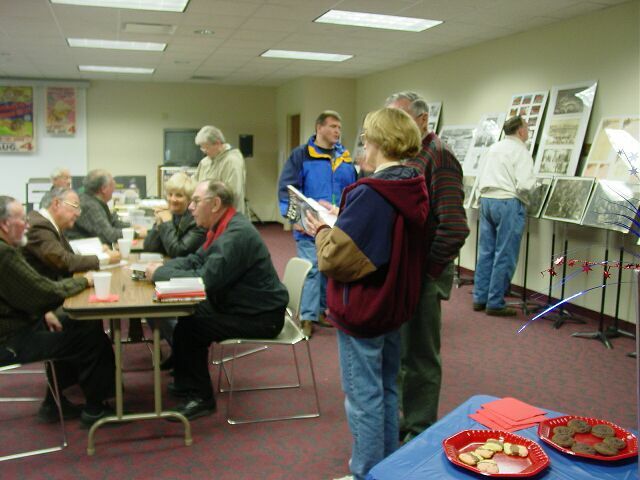 Additionally, T-shirts containing a likeness of Mr. King himself were sold to interested visitors, who often stayed to enjoy coffee and treats while viewing archive material on display. 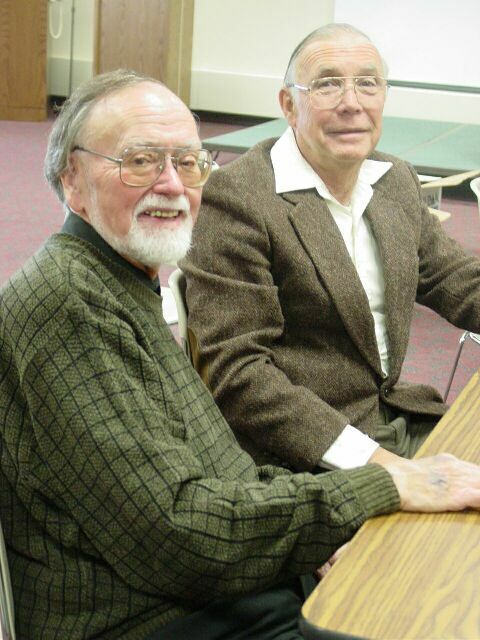 Thomas Hatton, on the right, is pictured above with Reggie Schive, the former director of the Karl L. King Municipal Band of Fort Dodge.